Debbie Foster graduated from college with both a degree in history and a passion for cooking and entertaining. I made my first brisket my senior year at the University of Wisconsin. Hosting a seder for 40 Jewish orphans, my roommates and I rented tables, chairs, made all the food, had plenty of spirits, and even made it part way through the Haggadah, she recalls. Preparing for the seder was my favorite part. With my mom on the phone, she walked me through her famous brisket recipe. Coming out of the oven  smelling exactly how it was supposed to  I felt a surge of connection to generations of Jewish women. After college, Foster became a Jewish educator, author and illustrator, but her interest in cooking and the connection she felt to her mother and grandmothers continued to grow. Today, she partners with Alexa Cohn, a classically trained chef, in their personal chef business, The Jewcy Kitchen. Growing up as I did  a product of Jewish preschool, day school, camps, youth groups, trips to Israel, and Temple Emanuel  my Jewish identity is solid, she explains. It might seem ironic that my most cherished Jewish experiences didnt cost any money at all. Whether I was spending time and helping my grandma and mom in the kitchen, picking out placemats and setting the table for Shabbat, peeling eggs on Passover, putting applesauce in bowls for Chanukah or rolling lox for break-the-fast, our family traditions were the source of it all. Fosters cooking skills have been validated on a national level, as she was a finalist two years ago in the Manischewitz Cook-off. Debbie is the daughter of Rabbi Steven and State Sen. Joyce Foster. Beginning with her mothers brisket, Foster has drawn upon the culinary traditions of the women in her family, most notably her paternal grandmother Miriam Foster, who passed away shortly before Deborah Miriam Foster was born and was named after her; and her maternal grandmother, the late Beverly Cohn Bender. Debbie feels particularly connected with her grandmothers as she prepares their recipes, written in their own hand and utilizing their own cooking utensils and china. 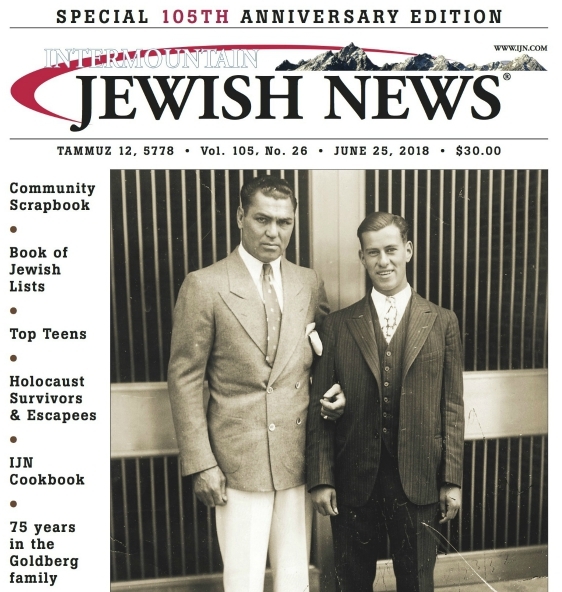 For Rosh Hashanah, Debbie Foster shares her family recipes for matzah balls, short ribs and apple cake in this week’s IJN Rosh Hashana Foods section. To order your copy, contact Carol at (303) 861-2234. Debbie’s Apple Cake recipe is featured on the IJN blog.